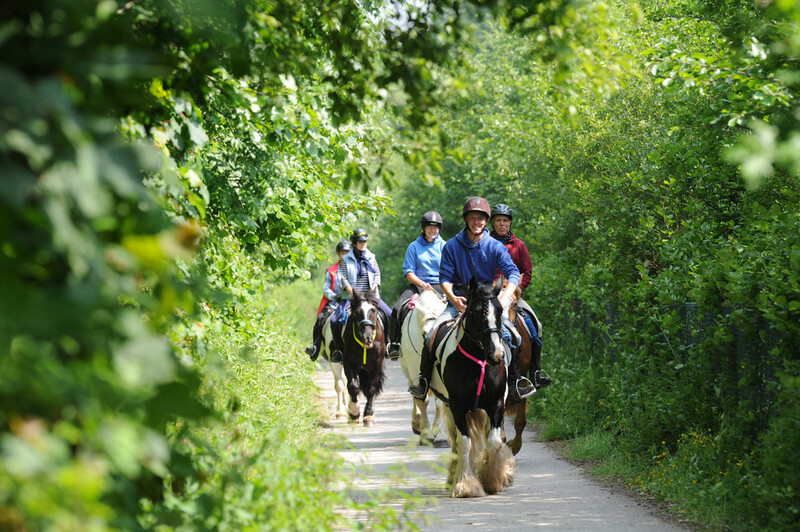 We offer hour-long horse and pony trekking for all abilities, from age 5 upwards. Our beginners rides are escorted by our friendly staff at a gentle pace suitable for the riding group, taking in some fantastic moorland scenery away from busy roads. Our horses and ponies are all experienced and very familiar with the moorland terrain. We will match each rider with the best horse or pony for their ability. These rides are very popular with children and families looking for an enjoyable holiday activity to do together, to brush up on riding skills or try out a new hobby. Please arrive at the stables about 15 minutes before your ride. 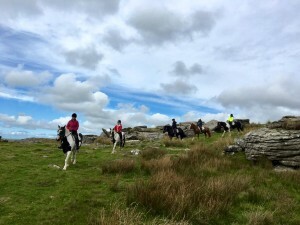 We also offer a longer very popular pub ride, which takes you across the scenic Bodmin Moor to the picturesque moorland village of Blisland, where refreshments can be enjoyed at The Blisland Inn. This ride is approx 3 hours and is an ideal way to experience the best the Moor has to offer! We offer 1 and 2 hour moorland rides for more experienced riders who are comfortable cantering in open spaces. Please see the Experienced Hacking and Trail Riding page for more information on our longer rides for experienced riders. To book your ride or for more information please call us on 01208 851500 or email us. During School Holiday weeks we recommend early booking to avoid disappointment. Please note that prices displayed on our website are “from” prices and will vary according to group sizes, Riding experience, Ride times and dates. We therefore advise that you request the price when booking your ride. Keen to learn more? We can offer week long riding holidays for all abilities – either staying in one of our cottages here at the stables or simply riding every day. Please click here for more information.